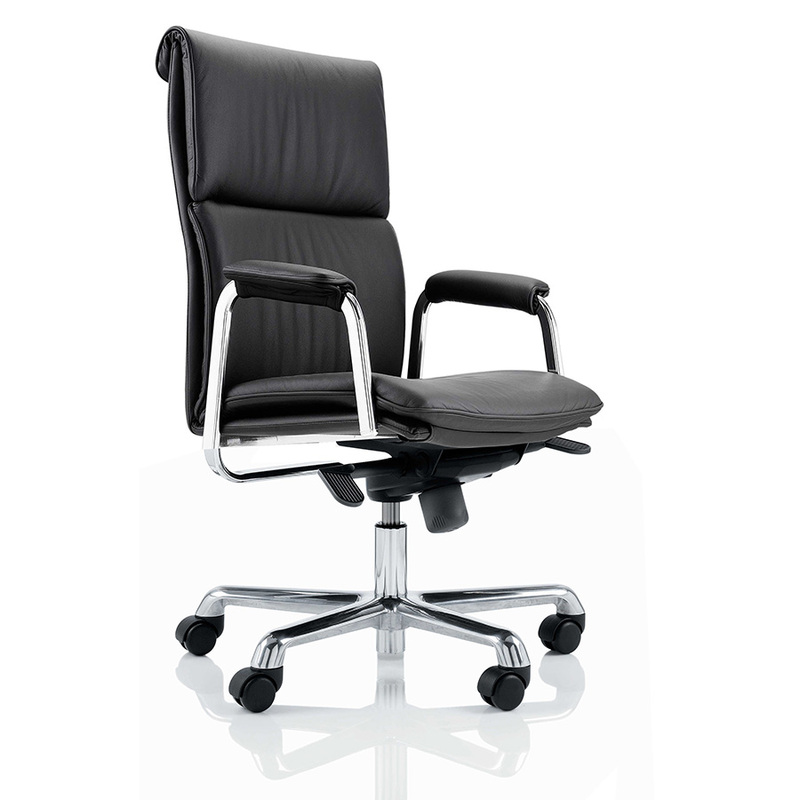 The Boss Design Delphi chair combines the sumptuous finish of a lounge seat with an office chair’s functionality. The Delphi was designed with executive in mind, the upholstered sprung seat and back and superior tilt mechanism offers superb comfort, whilst the gas height adjustment means the user can easily find the perfect sitting position. The Delphi range also includes the task chair, the option to add or remove arms, available as a swivel, visitor or boardroom chair in both leather or fabric. The Delphi really is a chair that will stand the test of time both in looks and functionality.